Only 25% of motorcyclists wearing protective trousers that will help to save the legs during a fall. The majority of injuries affecting the lower limbs during a fall, are abrasions and lacerations. PMJ’s technology is the answer for this safety problem. PMJ jeans are supplied with Omologate CE 1621-1 protectors. These protections are made of high density thermoplastic material, produced in Italy and tested at different temperatures (+/- 20 °). This type of protection has obtained a very low residual force value of 16.2Kn. The protectors are made of anatomical shape and fit perfectly to body parts that need to be protected during an impact. 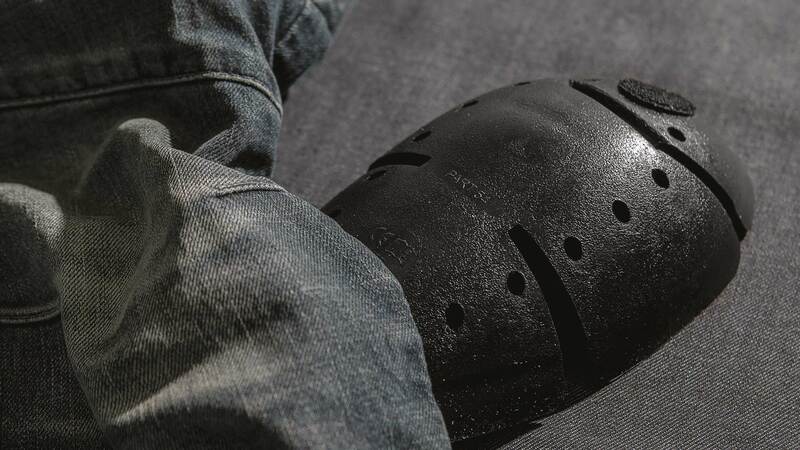 On PMJ jeans, the knee protectors are equipped with a height-adjustable system. Thanks to this useful tool, you can position the protectors according to the different height of the user and according to your preferences. Shoulders / Elbow protectors made of lightweight and flexible HILON material, built in 3D form. These protectors without edge are soft and flexible, perfect choice for garments with maximum efficiency and articulation. Size 20,4 cm x 15,4 cm. Weight 72 grammi. 9 mm of thickness. 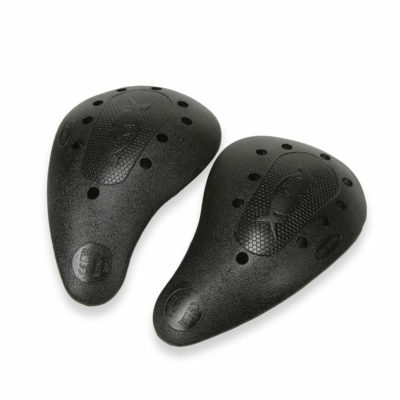 Hip protectors made of lightweight and flexible polyurethane, built in three-dimensional form. Size 12,5 cm x 22 cm. Weight 76 gr. 15 mm thickness. 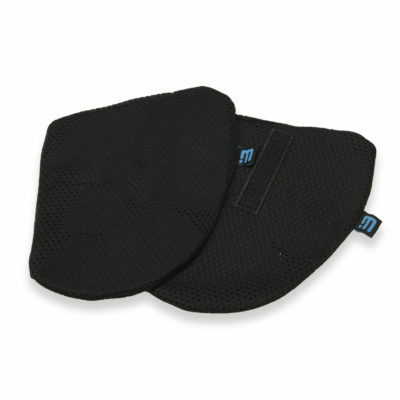 Hip protection made in MEMORY FOAM high density material, anatomical, removable and adjustable. 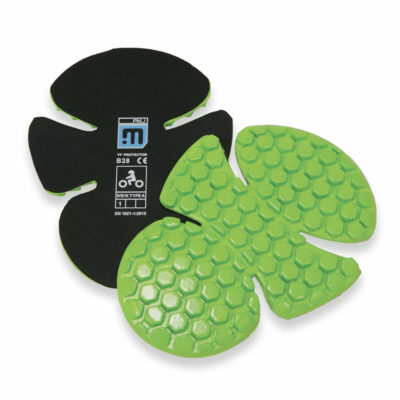 The soft rubber material absorbs the impact in an excellent way. The mesh covering favors breathability. An excellent solution for protection, without sacrificing comfort. Suitable for PMJ model: Dakar, Vegas, Legend, City, Voyager, Rider, Santiago, Santiago Zip, Florida, Legend Lady, Skinny, Santiago Lady, Carolina, Rider Lady. 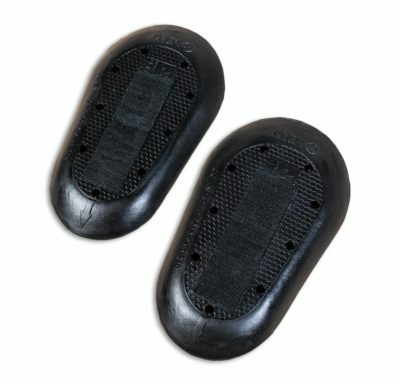 Knee protectors made of lightweight and flexible polyurethane, built in three-dimensional form. Knox lite offers an alternative thinner, breathable and lightweight, and is the ideal choice for garments in which protection should be practically invisible, but with maximum efficiency. 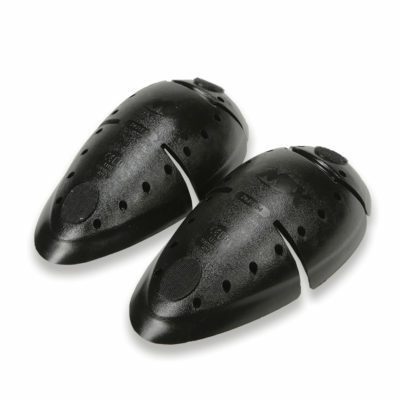 These protectors are soft and flexible and has 2 points of articulation to improve movement. Fully ventilated for improved breathability. Equipped with 2 points Velcro for anchoring with jeans. Size 27 cm x 18 cm. Weight 93 gr. 13 mm thickness.